Catching a lovely sunset between buildings in downtown Nashville at the entrance to Printer's Alley. Good old Nashville is the star of today's post - specifically, that gorgeous skyline they got there! It's my favorite spot to visit in town, and I try and go here every time I get to Nashville. A trip somehow seems incomplete without it. Here are 6 HDR photos taken during a stunning sunset! Today's post is a collection of random pics from my recent travels to Nashville. It's a beautiful city, but one day I focused on shooting the offbeat and overlooked stuff, instead of the traditionally beautiful spots there. I like what I came away with. Shooting things that are usually overlooked is a great exercise for expanding your creative vision. Have a look! Last week was a busy one for me, traveling to Nashville and OKC and firing quite a few shots along the way. Today's post is a summary of that trip, with all photos taken and processed on my iPhone. I haven't had time to process anything from my real camera yet, because I am on the road again. Pop on in and see what's cooking! From my recent trip to lovely Nashville, here's a collection of photos taken downtown. It's a wonderful town for photography, and I love to go there and shoot. I always seem to get great conditions for photography while I am there. So click on it and let me know what you think - and thanks for stopping by! This is one of my favorite spots in Nashville - The Parthenon. On my last trip there, I ran into an online friend there - travel sure makes this a small world at times! Ok, first things first: I’m not a fan of country music. Ok, good, I got that out of the way early. 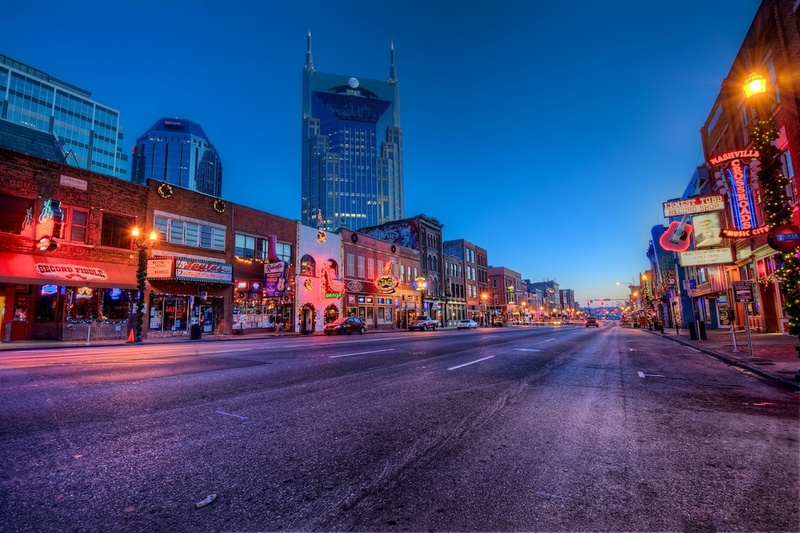 But I will say that despite that admission, there are plenty of things I love about Nashville, TN (which is famous for its country music stars and venues), and I do recognize some of the better-known country songs. Not many, but a few. I know a couple of tunes by Johnny Cash. Who doesn’t know “I walk the line” or “Ring of Fire”? Willie Nelson has a jingle or two that I remember. I’m partial to “On the road again”. There’s even a David Allan Coe song that I love, and it’s even on my iPhone. But country music as a genre? Not for me. I am more of a heavy metal rocker. What can I say? I love rock music, and grew up on it. We all know that we still love what we loved as teenagers, right? I’m not sayin’ that country music is bad, it’s just not my thing. I completely understand if you are not into heavy metal. I could crank up some Ozzie and love it, but you might want to strangle me if I did. Differences are good, right? It makes the world a more colorful place. Anyways, Nashville is a great town and I love to shoot there, despite the music. It’s really a photogenic city, but unfortunately some of my trips there are without my camera. I simply have too much work to do and too little free time, or the trip is really short (I’ve had two 1 night trips there in the last couple of months - both without my Nikon). So in those situations, I go with the next-best thing: my iPhone. It’s always with me, and it does a damn fine job, most of the time. If you have been here before, you probably already know that I love that thing. And if you follow my Facebook page or Flickr stream, you have seen my iPhone posts - probably more often than you want to. But I can’t help myself - I love to shoot and share, a lot. I even wrote a little article about that once. So on my last trip to beautiful Nashville, I came across this entire wall mural dedicated to Johnny Cash. And I didn’t have my Nikon, with my favorite thing attached to it: my wide angle lens. Poor me. I may have cried for a few minutes, but hopefully nobody saw me. Thus, I did what I always do anyways: I shot away with my iPhone. And here are the shots. This mural has been there for over 10 years now, and is 150 feet long and 12 feet high. It’s pretty impressive! Plus, let’s face it: Johnny Cash is one cool dude. Or, was. Anyways, I hope you enjoyed these photos, and thanks for stopping by! I love shooting first thing in the morning when a city is asleep. Sunrise shooting is hard to do, but always worth it. It's a great feeling to be out when the rest of a city is still abed. It's almost like you have the place all to yourself. Yes, you run into a few random folks here and there, but mostly it's just you and whatever it is you are pointing the camera at. That's a certain kind of special. And as you know from visiting here (at least I hope you have been here before - if not, then welcome!) I love to shoot in HDR, and I love to shoot cityscapes in HDR. So that get's a little tricky because my preference is always to have NO people in my shots. I can't always get that, but I always try. Obviously there are some tricks to remove people (stack filters for a VERY long exposure thereby blurring them all into oblivion, or simply removing them via software) but I generally leave them if they are there, unless it totally screws up the shot. I'm not sure why I do it that way, but I do. So that's one of the main reasons that I love to shoot at sunrise. At sunset you can get great light, but everyone else is out there with you. At sunrise, the possibility of great light is pretty high, but you have the added benefit of being alone. So here I was in Nashville, TN on Broadway which is sort of their main drag. It's full of country bars and neon signs, both of which are great fun to shoot. And it was sunrise, and I basically had it all to myself. A great start to a day, really!